How do you say ALYN in Chinese? 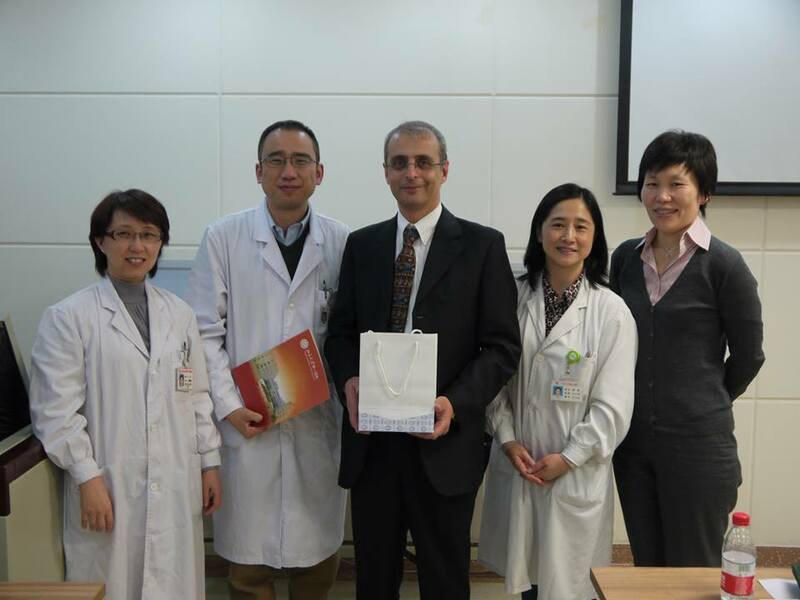 During his latest visit to China Dr. Eliezer Be'eri, Director of ALYN's Pediatric Respiratory Department presented a lecture entitled "How and Why to Rehabilitate Children With Chronic Disabilities" at Peking University First Hospital in China. This visit was organized at the initiative of Mr. Meng Bai, Director of Academy Press publishing house associated with the hospital who after visiting Alyn a few months ago invited Dr. Be'eri to make a reciprocal visit when next in Beijing. Dr. Be'eri's lecture was warmly received by 80 doctors from the departments of Pediatrics, Pediatric ICU, Neonatology and Rehabilitation. He also was given the opportunity to tour the departments of pediatrics, rehabilitation and neonatology. "I was surprised to find that Israel was highly respected as a center of excellence in medicine by my Chinese hosts, and that their approach to rehabilitation was actually very much in-line with Western thinking and standards."